Experience Glass Art in Asheville, N.C.
As an art form, glass appears to be equal parts chemistry and alchemy. It’s a medium that’s been around since early Roman times, but here in Asheville, North Carolina, and the surrounding region is where studio glass took off in the Southeast. With more than 100 glass artists living and working in the region, Western North Carolina is a destination for glass art in the Southeast, and Asheville’s vibrant community of galleries and studios is a mecca for glass collectors. Beginning in late spring 2018, Asheville’s substantial community of gifted glass artists comes together to celebrate Asheville’s first Summer of Glass. The event includes exhibits, working studio tours, classes, workshops and a one-of-a-kind exhibition from America’s most famous contemporary glass artist, Dale Chihuly. His breathtaking large-scale glass sculptures will be on display at Biltmore Estate and open for both daytime and special nighttime viewing. 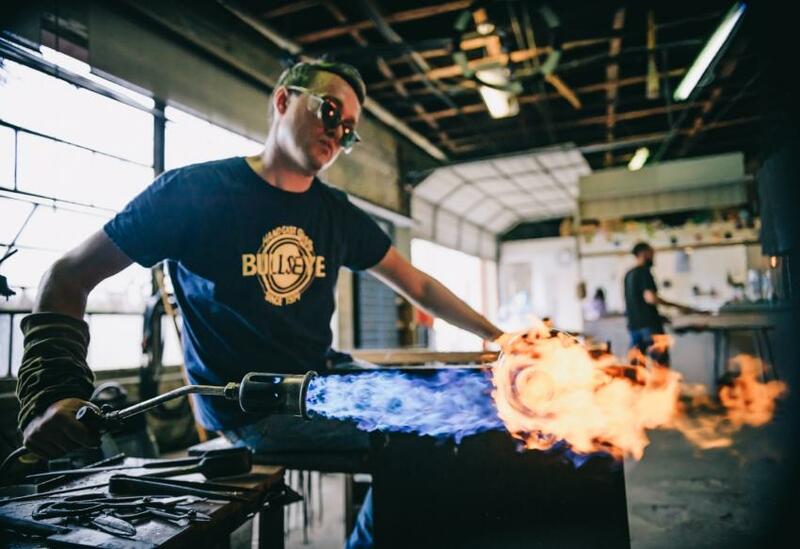 Experience Asheville’s glass art scene at a working artist studio or a curated art gallery—or select a guided experience with a glass-themed art tour. A glass artist fires his work with a torch at the North Carolina Glass Center, one of many open studios in the area. In the 1940s downtown warehouse housing Lexington Glassworks, stone ovens roar at 2400 degrees. 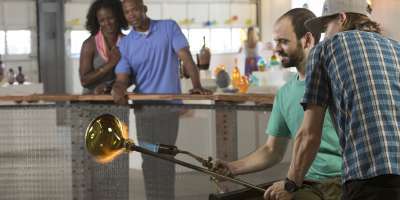 Visitors congregate behind the wooden railing—craft beer in hand—and watch the glassblower place a colorful globe of hot liquid glass inside one of the furnaces, then blow, shape and spin it into a whimsical form. A swirling constellation of finished glass art is suspended from the ceiling. Studios like this one—where visitors can watch glass artists at work—are open to the public all over Asheville. Several more home studios are open by appointment. Crucible Glassworks was among the first studios in downtown to open to the public. In 2015, glass artist Michael Hatch moved his operation north to the nearby town of Weaverville (about 10 minutes from downtown), where visitors can still see him at work and shop from the collection of whimsical sculptures and vessels. In the River Arts District, glass artists offer scheduled demonstrations and workshops throughout the year, with additional offerings available on the second Saturday of each month and during the neighborhood’s annual Studio Stroll in November. A variety of glass studios is represented in the district, including Chism Glass, Leene’s Glassworks and Tanya Franklin Glass. The North Carolina Glass Center—also in the River Arts District—works with more than a dozen local artists at its non-profit, public access glass studio. In addition to daily demonstrations, instructors at the center hold regular workshops for both beginners and experienced artists, and the center’s gallery features the colorful work of its resident artists. 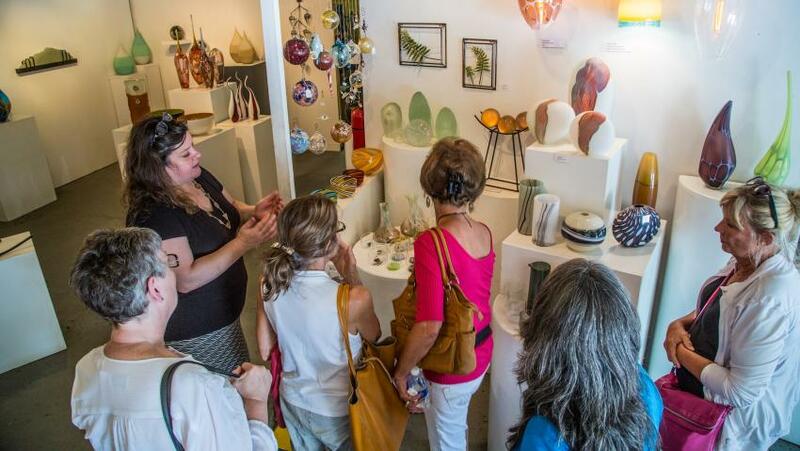 Visitors browse a glass art gallery on a guided Art Connections tour. 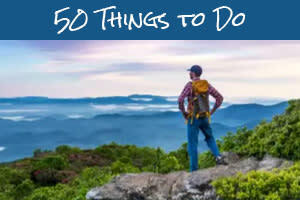 Asheville is teeming with art galleries and shops filled with the beauty of studio glass. Be mesmerized by the vivid shapes and forms at the Bender Gallery, Asheville’s only gallery with a primary focus on national and international sculptural art glass. Blue Spiral 1, the Southeast’s largest art and fine craft gallery, features a variety of regional work, and during Summer of Glass will host a “glass take-over” featuring works by regional artists such as Dean Allison, Alex Bernstein, Mark Peiser, Robert Stephan and Hayden Wilson. The artists’ collective-run Ariel Gallery showcases glass art from renowned artists William and Katherine Bernstein. Their vigorous use of color and imagery is achieved by drawing directly on hot glass using colored glass rods and a torch. Amber Marshall’s whimsical contemporary sculptural glass vessels, also at Ariel, focus on minimalist form and color. Mountain Made Gallery—located inside Asheville’s historic Grove Arcade—is home to hand-crafted glass jewelry, stained glass and blown glass. Find additional glass treasures and rotating exhibits at the Center for Craft, Creativity and Design, Momentum Gallery, aSHEville Museum, Contemporaneo Asheville Gallery Shop and the Asheville Art Museum’s transitional South Slope location. The Southern Highland Craft Guild’s Folk Art Center, with locations on the Blue Ridge Parkway and in Biltmore Village, showcases glass from throughout the Southern Appalachians. In North Asheville, Grovewood Village is home to Carl Powell Glass as well as the Grovewood Gallery, featuring an array of glass art and other regional craft. During Summer of Glass, a special exhibition, North Carolina and the Studio Glass Movement, will tell the story of how Asheville became a hot spot for glass art. The exhibition will be held at 14 Riverside Drive in the River Arts District and will be an ideal starting point for those interested in exploring the area’s glass art scene. A guided Art Connections tour visits glass artist Terri Sigler at her home studio. One of the best ways to experience the city’s rich landscape of glass art and design is through a curated art tour with an expert guide who can offer an insider’s view. 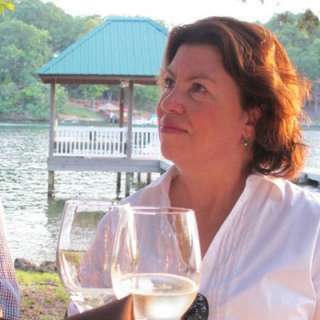 Sherry Masters—owner and guide for Art Connections tours—is a long-time Asheville arts scene insider with deep knowledge of regional craft history and great personal connections to artists. Her customized tours often include visits to home studios, and there’s always plenty of Q&A time with artists. Glass artist John Miguel Almaguer leads Asheville Art Studio Tours, with a focus on the River Arts District. His Experience Tours offer visitors a chance to be the artist and try out multiple mediums, including glass. This year, consider grabbing a Summer of Glass VIP Weekend package available to a limited number of guests in June, July, August and September. 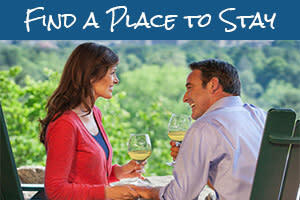 The itinerary varies but includes the Biltmore Chihuly exhibit, as well as meetings with artists, guided tours to private studios and collectors’ homes, hands-on experiences at the North Carolina Glass Center, curated fine dining and excursions to Penland School of Craft. Top photo by Steven McBride; torch photo courtesy of NC Glass Center; gallery and tour photos courtesy of Sherry Masters, Art Connections Tours.